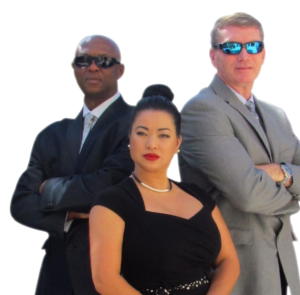 If you need the services of a private investigator in Boca Raton FL, Boynton Beach FL, Coral Gables, Coral Springs FL, Fort Lauderdale FL or Miami, then Saffron Investigations can help. Their private investigators are trained and skilled and can deal with a wide variety of cases. Typical cases that private investigators deal with include accident investigations, background checks, infidelity cases, child custody cases, wrongful arrest cases, personal injury investigation, insurance fraud, missing persons, criminal defence and more. In some cases a private investigator can make the difference between a proper outcome and settlement or a negative outcome and no settlement. An automobile accident is a good example. Police or traffic officers don’t always conduct a comprehensive investigation. A private investigator can conduct a proper accident investigation and produce a report which you or your attorney can use as leverage during settlement negotiations. In some cases you can suffer terrible mental anguish. These types of personal cases could relate to a cheating spouse, a missing child or similar. A private investigator can help you find the truth and eventual closure. The truth might not be what you want to hear, but it can at least set you free and deliver you from the anguish and uncertainty of not knowing. In some cases a private investigator can help you stay out of jail. This could be due to criminal defense investigations that could provide the evidence you need to prove your innocence or create enough reasonable doubt. When you need help with a case you can only benefit from the skills, knowledge and experience of a private detective. A private investigator has in-depth knowledge of the area, has the contacts and connections as well tools and equipment to solve most cases quickly and efficiently.